Cut the sapote and remove the pulp. Place it in the blender then add the yogurt and sugar. Blend the ingredients and add more sugar if necessary. Pour the mixture into ice pop molds and add the popsicle sticks. Place the mold in the freezer for about four hours. If you don’t have ice pop molds, just use small plastic cups. Cover in aluminum foil and poke the popsicle sticks through the middle. Yesterday I went shopping at the Mexican supermarket and I found what Peruvians call mamey, though it’s also known as sapote in the U.S. and other Latin American countries. Whatever it’s called, no one can deny that this orange-red fruit has a delicious sweet flavor. Sapote can be consumed fresh and is often used in salads, juices, desserts, ice creams and paletas. 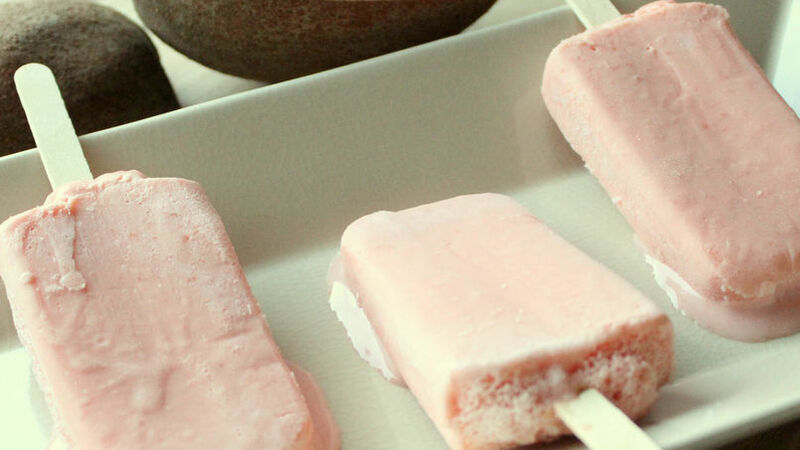 This is why I got to work to take advantage of the last few days of summer with these yogurt sapote paletas.